The sun was shining on the stunning grounds of Airth Castle as our team had the pleasure of welcoming the group from AG Barr to for a morning of Team Building in Scotland. The truly Scottish setting of the estate provided a fantastic backdrop for our S1 Soapbox Derby event giving teams the opportunity to show their understanding of the four Barr Behaviours through their performance in a series of highly competitive phases to market, build and race their very own pedal powered race carts. Two of the teams took inspiration from the running group calling themselves the Barr Bullets with Keir and Lorna leading the two groups respectively. Barr Arrows and Team Flash continued the theme with their names, synonymous with accuracy and speed; themes which continued throughout the day giving us lots of highlights to reflect upon. Read on for more of the day’s best bits. Farhan and his team had a focus upon Relationships that Deliver from the off as he was sent to reach out to the other teams before unleashing their secret weapon Mr Scotland. Strength wasn’t much help during the design phase however as the Barr Arrows opted for a simple streamlined design. The Barr Bullets went for a slightly bulkier design at the back to give their competitors something to read as they followed on the track, so confident were they of their pedal power. Sam quickly proved she wasn’t up to drawing a bullet as it had a stronger resemblance to something else, rather ruder... However the team did deliver a ‘Bulletproof’ presentation complete with their own soundtrack. Lois and the gents in Team Flash opted for their very own jingle which saw them go from zero to hero in grid position from heat one to heat two. Karon proved herself to be an excellent Health and Safety representative allowing Ian and his comrades to enter with a bang and really wow the audience with their ultra-creative marketing pitch; that and Andrew’s incredible athletics! The team’s attention to detail was proved again in the exquisite stitching on their car, aptly named ‘Magnum’ which unfortunately didn’t quite travel as fast as a bullet when it came to the race track. In the final race it was still all to play for as the teams took their final grid positions and pedalled for all they were worth in a bid to add some last minute points to their total from across the day. A group photograph followed the final race and tension was high as the teams made their way back to the castle for the scores. In the end, the points for use of the Barr Behaviours were added to the scores and Jonathan presented the prizes. The Wooden Spoon was awarded to Barr Bullets with Team Flash just edging into 3rd place. The Barr Arrows made it to second place while the Barr Bullets claimed the top spot and took home the Team Challenge Company Winners’ Trophy. Huge thank you to Lorna for working so hard to put the event together for everyone to enjoy. It was a real pleasure to have the opportunity to work with the group and we look forward to doing so again soon. Jonathan, a big thanks to you and your team for making the day fun as well as relevant to our business. The feedback has been positive from across the Impulse team, pleasing everyone is challenging and you guy's pulled it off! The blurb and pictures are PHENOMENAL - you have captured so many different individuals from the day and I know they will love a wee personal mention in the blurb! Everyone is still buzzing from the day and we are in the process of getting in their feedback - all of which has been extremely positive so far. Thanks again for a truly memorable team building day - you and your team did a fantastic job. 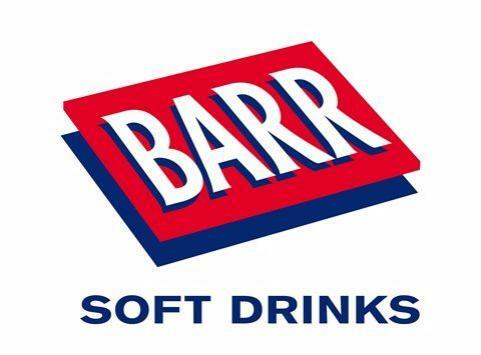 It was a pleasure to work with Lorna, Keir and the rest of the Barr team in designing and delivering this fantastic event - lots of fun and competition enjoyed by all, with the Barr Behaviours at the heart of all that was great about this team! My personal highlights included a soon-to-be 'Mr Scotland' pedalling so quickly I thought he was going to go Back to The Future at one point, and a sensation hand-stand during marketing pitches that really sent the crowds wild. A great day all round, and very much hope to have the opportunity to work with you all again soon - for the rematch! Well done to all teams for getting so involved and for exemplifying the Barr Behaviours with such excellence. One team said in their hypothetical marketing pitch that their team members lived and breathed their values, and this is something that can be said for the entire team yesterday. I look forward to meeting you again in the future.